Getting medical care in remote areas can be a challenge, especially if patients need to see a specialist. In some places, an orthopedic surgeon or neurologist may only visit once or twice per year. Long distances to the nearest specialist combined with a lack of resources can delay care by months. For those reasons, and also for people unable to travel, telemedicine can be a crucial source of providing medical expertise. There are numerous remote Native American communities in North America and many of their residents lack the resources to travel. Telemedicine, including teleradiology, helps address gaps in care among their residents. The First Nations, a Canadian government term for native communities not of Inuit or Métis descent, include approximately 700,000 people scattered across Canada, particularly in British Columbia and Ontario. Livecare has partnered with Claron Technology to provide access to imaging services for First Nations communities in British Columbia. Many of these communities are hundreds of miles from the nearest urban center. Livecare operates one site in a Nisga’a nation community and plans to open another soon in the Fort St. John catchment area in northern British Columbia, near the proposed pipeline that will bring oil from northern Alberta to the British Columbia coast. Godley says there are approximately 90,000 people in the Fort St. John area, but most First Nations communities in British Columbia have 2,500 to 3,000 residents. He expects that four or five First Nations sites will be operational within 24 months. 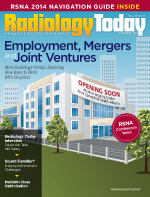 Radiologists reading imaging exams and sending reports electronically isn’t anything new, but the range of specialists—including orthopedists, neurologists, and urologists—able to access diagnostic-quality clinical images that have been generated at far-flung locations is new to these communities. To streamline access to the images, Livecare has set up telemedicine management platforms, which utilize Claron’s NilRead diagnostic viewer and NilFeed image communication technology, at the active sites. Images are taken at far-flung sites and transmitted to Livecare’s data center, becoming immediately accessible. Eliminating special applications and specialized workstations was a big challenge, Godley says. The goal was to simplify the often-complex access process for the specialists so they can use the images and reports quickly, with a minimum of extra steps. The only requirements for using the system are a fast Internet connection, a good digital camera, and valid credentials. The telemedicine management platforms have drastically reduced turnaround times for reports. Some of the smaller First Nations communities are two hours’ drive from the nearest X-ray machine, and people from these communities were waiting four to six weeks for X-ray reports. First Nations sites can now get results in a matter of hours. Godley expects the new systems to have a significant effect on the quality of patient care. “Now our turnaround time is less than 24 hours, and the information is accessible through the Web interface; all you need is the Internet connection. So the responsiveness of the system, the access to care, and the personalized access to care is leaps and bounds ahead of what the community is used to,” Godley says.